14" PAL and NTSC monitor. Chroma, luma, composite and audio inputs with a SCART input connector with RGB and composite inputs.. 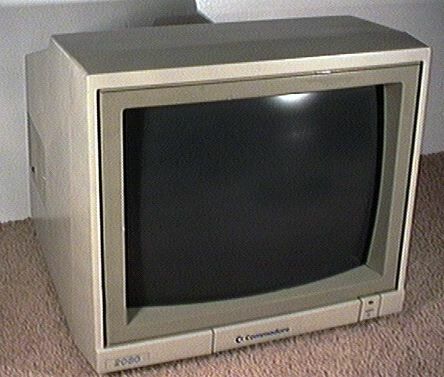 The Commodore A2080 was essentially a high persistence phosphor model of the 1084 to reduce flicker in NTSC modes. The monitor has a "long afterglow" which may leave a slight temporary trail with moving objects on screen.